After a scintillating week of tennis in Montpellier, Sofia and Cordoba, the action on the men's tour last week shifted to two ATP 250 tournaments in Buenos Aires and New York, and to this season’s first ATP 500 tournament in Rotterdam. Kei Nishikori was the highest ranked player to feature last week, as he made his first ever appearance in Rotterdam after losing his first match of the season in the quarter-final of the Australian Open (to eventual champion Novak Djokovic). Stefanos Tsitsipas also returned to the tour last week after his breakout performance in Melbourne, where he defeated the defending champion Roger Federer and reached the final four. 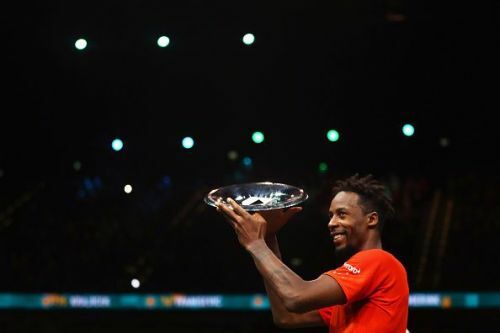 Gael Monfils wrapped an incredible week as he halted the impressive progress of Stan Wawrinka in the final with a 6-3, 1-6, 6-2 win to capture the trophy in Rotterdam for his 8th career singles title. La Monf, as many call him, was beaten by Daniil Medvedev the week before at the semi-final stage in Sofia. But he got some sweet revenge at the same stage in Rotterdam as he defeated the Russian by outmaneuvering him at his own game, in an three-set slug-fest. Stan Wawrinka played at a very high level throughout the week as he defeated the likes of Milos Raonic, Denis Shapovalov and Kei Nishikori to reach his first final since Roland Garros 2017. Second seed Karen Khachanov, after crashing out in the first round in Sofia, got beaten in the opening round here as well, this time losing to wildcard Tallon Griekspoor who, with the win, got just his second tour-level victory. Interestingly, he got his first ATP win also in Rotterdam, when he upset Wawrinka in the opening round last year. Just like Khachanov, third seed Stefanos Tsitsipas also lost in his opening match, to Damir Dzumhur, who got his first win of the season by defeating the Greek. Dzumhur got his last tour-level win also against Tsitsipas, when he defeated the youngster in the second round of the 2018 Paris Masters.